So this week I want to talk about Bridging Visas, What are they? How do you apply for one? Where are they used? These are really common questions we get asked about and it can be a bit confusing as there are a few different types depending on the situation. We are looking at bridging visas in the context of partner visas. I’ll start first by explaining who might actually apply for or be granted a bridging visa. Who can apply for a Bridging Visa? The first criteria you need to meet for a bridging visa is that you need to be inside Australia to start with. If you are outside Australia then and have no option to travel to Australia temporarily then no need to read any more of this blog post as a bridging visa will not be applicable for your situation. So a Bridging Visa is exactly as the name suggests it’s a bridge from one Immigration status to another Immigration status allowing you to remain legally in the country until the new immigration status is decided or clarified. So essentially it’s a visa that may keep you legal while you wait on the outcome of another visa. How do I apply for a Bridging Visa? In some cases you don’t actually have to apply for the bridging visa via an additional process, it may be automatically applied for when you apply for your visa. Take the case of an onshore Partner Visa (Subclass 820) application, you don’t actually apply for the Bridging Visa A directly as it is automatically applied for when you lodge the partner visa application. It is not active however until the visa you held at the time of applying for the partner visa is expired. For other situations and Bridging Visas, you may need to apply. For example in the case where you hold a Bridging Visa A and you want to travel outside the country you would need to apply for a Bridging Visa B. This area of Immigration law is notoriously complicated so definitely seek advice before pursuing or relying on a Bridging Visa as part of your Immigration plan. Why would I get a Bridging Visa? Some of the reasons why you might get a Bridging Visa are; to keep your immigration status lawful while you wait for the decision of another visa or to rectify your Immigration status temporarily for example if you are unlawful and you are making arrangements to depart from Australia. How a bridging visa is normally used in a Partner Visa Application. The classic example of where a Bridging Visa might come into play where a Partner Visa Application is concerned would be say, for example, you or your partner have been using Visitor Visas (Subclass 600) to come to Australia to spend time together. 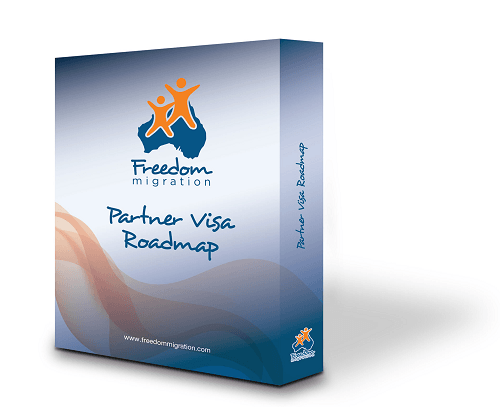 During one of these visits, you decide you want to be together permanently in Australia and think that a Partner Visa might be an option for you. Now, as long as there is no 8503 (No further stay) condition on the Visitor Visa and you are inside Australia the Onshore Partner Visa (Subclass 820) is available to you. You decide to lodge the subclass 820 visa before the Visitor Visa runs out so you are in the country at the time of lodging the Partner Visa Application. Currently, the time taken by the Department of Immigration and Border Protection to decide the Partner Visa can be 12-18 months. This is where the Bridging Visa comes in. At the time of applying for the Onshore Partner Visa (subclass 820), an automatic application for a bridging visa A is made. Upon expiry of the Visitor Visa, the Bridging Visa A ‘wakes up’ and comes into effect transferring you to a Bridging Visa A to keep your Immigration status legal until a decision is made on the Partner Visa. One advantage of this is that the applicant will be granted work rights as soon as the Bridging Visa comes into effect. If this pathway sounds like it might be the route you and your partner might like to take, keep in mind ‘wanting’ to pursue this pathway doesn’t mean it’s the right fit for your situation. You need to check that you can meet all the requirements for this option. The discussion here is a very general overview to help you understand some of the circumstances in which a Bridging Visa may be needed. It is of course by no means advice. In this case, we have used the example of how a Bridging Visa might be used in an Onshore Partner Visa (Subclass 820) application, there are so many other examples for bridging visas but they will have to wait for another blog post, I got to get back to lodging visas. If you have more Partner Visa related questions then check out our FAQ page or if you feel it’s time to get answers to your specific questions call and get yourself booked in for a Visa Planning/Advice Session on Ph: 07 3063 1200. Does being in a de facto relationship for at least 1 year include times apart? Where can I get my Visa Medical / Health Exam done?